In May 2018 a new law, the General Data Protection Regulation (GDPR), came into effect. It affects the way that charities, as well as companies and other organisations, keep information about their members, customers and suppliers, in fact anyone that comes into contact with them. The law makes it very clear that individuals’ personal information can only be used with their express consent. 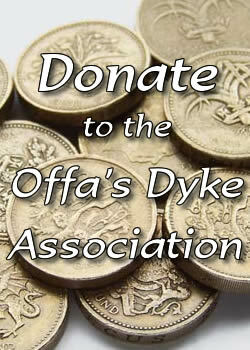 The Offa’s Dyke Association (ODA) is committed to protecting your personal information. This Privacy Notice explains how we collect information about you, how we use the information we collect and how you can instruct us if you prefer to limit or change the use of that information. If we need to change our Privacy Notice, we will post changes on this web page, also in the next edition of the ODA Newsletter. This Privacy Notice was last updated on 20th May 2018. We will never copy your personal information to a third party without your consent. In the past we have never given personal information to marketing companies or similar and we will not do so in the future. Depending on the reason why you have contacted us, when you provide us with your personal information it will only be used for one or more of the following purposes. You decide how we should contact you. For example, if you prefer to be contacted by email only but not telephone or post, then we will comply with your request. If you decide to join us then we will use your contact details to either post to you hard copies of our publications, email you electronic versions of the same or email you bulletins about news or forthcoming events that we might arrange. If you provide your telephone number then we will only use it in connection with your membership. You decide how we should contact you but please remember that without a postal address we cannot post hard copies of our publications to you. If you do not to renew your membership subscription when it is due then we will wait six months before we delete your personal information from our electronic and hard copy files. Sometimes members are late with their subscriptions so we think six months is a reasonable length of time, however, if you tell us that you want us to delete your records straight away then we will comply with your wishes. We advertise your business on our website with only the information that you have agreed to supply to us, nothing more. We will otherwise safeguard your personal information and contact you as a member as per item 1 above. We advertise your organisation on our website with only the information that you have agreed to supply to us, nothing more. We will otherwise safeguard your personal information and contact you as a member as per item 1 above. We will use the contact details that you provide in order to post the items to you. We will only keep your contact details for as long as is necessary, a maximum of 12 months, after when they will be either deleted or shredded. To meet our legal obligations we have to keep copies of certain financial records for up to 7 years. 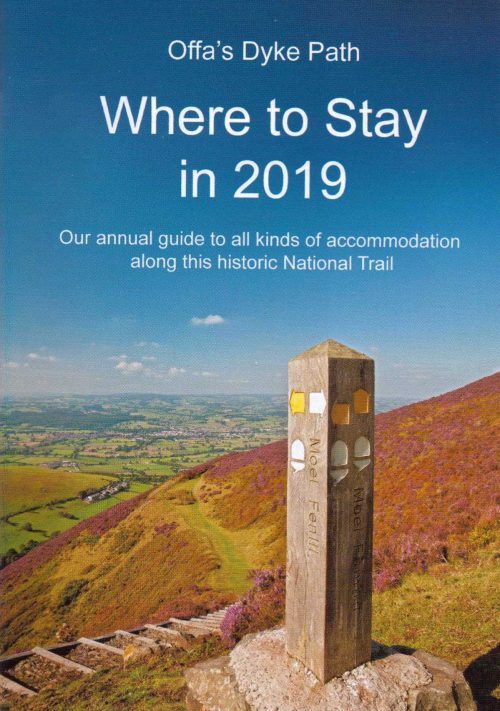 For example, you have asked for information about Offa’s Dyke Path National Trail and we need some time to get back to you in which case we will clearly need a means of contacting you. We will only keep your contact details for as long as is necessary in order to follow up the enquiry and respond to you after when, unless you give us permission to keep your contact details, they will either be deleted or shredded. For example, you contact us as a potential contractor, supplier, sub-tenant, user of our reference library, or to hire one of our meeting rooms, in which case we will need to be able to contact and keep in touch with you. We will not keep your contact details for future reference unless you give us permission to do so. If you do not give permission then we will only keep them for as long as is necessary after when they will either be deleted or shredded. If we send a group email to several people, for example to our members with news about a forthcoming event, then the emails will be ‘blind copied’ to the group. That way we will not reveal your personal information to other people in the group. If we receive an email that has already been copied by another sender to a group of several recipients then we will only ‘respond to all’ if it is self-evident that the members of the group intend their personal information to be shared that way. Your communication preferences can be updated at any time by calling the Offa’s Dyke Centre on 01547 428597 or by emailing oda@offasdyke.org.uk. You can choose how we contact you, either by post, by email, by telephone or by a combination of methods. We may release information to the police or other authorities where we are under a legal obligation to do so, for example if the police suspect that a crime might have been committed. We keep financial records for as long as we are legally required to do so. We follow good security practices in the processing, storage and disclosure of information which you have given us. We monitor your information to check that it is accurate and up to date. Hard copy files containing personal information are securely locked away and our electronic files are kept on a very secure server. You may, at any time, request copies of information we hold about you, and ask us to correct or delete that information, or to use it in different ways, for example to opt out of receiving news bulletins about the ODA. If you request copies of information about you (a “subject access request”) we may request proof of identity from you. We are only a very small organisation so we ask that you allow us a reasonable amount of time to comply with a request. This website and its owners through their social media platform accounts may share web links to relevant web pages. By default some social media platforms shorten lengthy urls (web addresses – this is an example: http://bit.ly/zyVUBo). 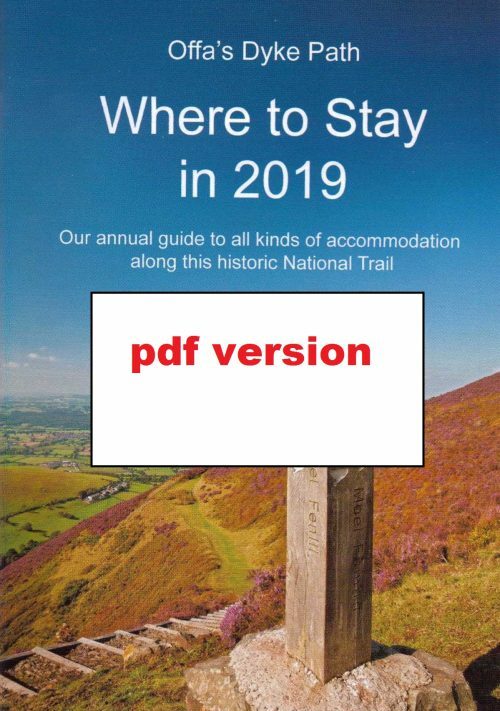 v.3.0 May 2018 Edited & customised by: Offa’s Dyke Association, West Street, Knighton, Powys. LD7 1EN.